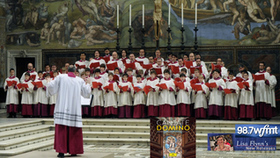 The Sistine Chapel Choir is a choir based in Vatican City and is one of the oldest religious choirs in the world. 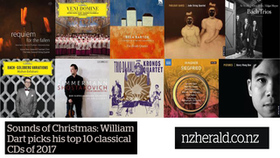 At present, the choir comprises approximately twenty adult singers (eleven tenors and nine basses) and thirty unpaid boy choristers (sopranos and altos). Although it is known that the Church, from her earliest days, employed music, it was not until the time of her emergence from the catacombs that she began freely to display her beauty and splendour in sacred song. As early as in the pontificate of Sylvester I (314–35) we find a regularly constituted company of singers, under the name of schola cantorum, living together in a building devoted to their exclusive use. The word "schola" was in those days the legal designation of an association of equals in any calling or profession and did not primarily denote, as in our time, a school. It had more the nature of a guild, a characteristic which clung to the papal choir for many centuries. Hilarius (461–8) ordained that the pontifical singers live in community, while Gregory the Great (590–604) not only made permanent the existing institution attached to St. John Lateran and including at that time in its membership monks, secular clergy, and boys, but established a second and similar one in connection with the Basilica of St. Peter. The latter is supposed to have served as a sort of preparatory school for the former. For several centuries the papal "schola cantorum" retained the same general character. Its head, archicantor or primicerius, was always a clergyman of high rank and often a bishop. While it was his duty to intone the various chants to be followed by the rest of the singers, he was by no means their master in the modern technical sense. Rome, Avignon, and Rome again (c. 1300–1471) - During the residency of the popes in Avignon in the thirteenth century, marked changes took place in the institution. Innocent IV did not take his schola cantorum with him to his new abode, but provided for its continuance in Rome by turning over to it properties, tithes, and other revenues. Community life among the singers seems to have come to an end at this period. Clement V (1305–14) formed a new choir at Avignon, consisting for the most part of French singers, who showed a decided preference for the new developments in church music - the "déchant" and "fauxbourdons" ("falsibordoni"), which had in the meantime gained great vogue in France. When Gregory XI (1370–8) returned to Rome, he took his singers with him and amalgamated them with the still-existing, at least in name, ancient schola cantorum. Before the sojourn of the papal Court at Avignon, it had been the duty of the schola to accompany the Pope to the church where he held station, but after the return to Rome, the custom established at Avignon of celebrating all pontifical functions in the papal church or chapel was continued and has existed since. The primicerius of former times is now no longer mentioned but is replaced by the "magister capellae", which title, however, continues to be more an honorary one held by a bishop or prelate than an indication of technical leadership, as may be gathered from the relative positions assigned to various dignitaries, their prerogatives, etc. Thus the "magister capellae" came immediately after the cardinals, followed, in the order given, by the "sacrista", "cantores", "capellani" and "clerici". Renaissance and the first Golden Age (1471–1545) - With the building by Sixtus IV (1471–84) of the church for the celebration of all papal functions since known as the Sistine Chapel, the original "schola cantorum" and subsequent "capella pontificia" or "capella papale", which still retains more or less of the guild character, becomes the "capella sistina", or Sistine Choir, whose golden era takes its beginning. Up to this time the number of singers had varied considerably, there being sometimes as few as nine men and six boys. By a Bull dated November, 1483, Sixtus IV fixed the number at twenty-four, six for each part. After the year 1441 the records no longer mention the presence of boys in the choir, the high voices, soprano and alto, being thenceforth sung by natural (and occasionally unnatural) soprani falsetti and high tenors respectively. 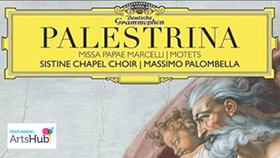 Membership in the papal choir became the great desideratum of singers, contrapuntists, and composers of every land, which accounts for the presence in Rome, at least for a time, of most of the great names of that period. Ludovico Magnasco presents the Constitutions of the Chapel to pope Paul III - The desire to re-establish a sort of preparatory school for the papal choir, on the plan of the ancient schola, and incidentally to become independent of the ultramontane, or foreign, singers, led Julius II (1503–13) to issue, on 19 February 1512, a Bull founding the capella Julia, which to this day performs all the choir duties at St. Peter's. It became indeed, and has ever since been, a nursery for, and stepping-stone to, membership in the Sistine Choir. The high artistic aims of its founder have, however, but rarely been attained, owing to the rarity of the truly great choirmasters. Leo X (1513–21), himself a musician, by choosing as head of the organization a real musician, irrespective of his clerical rank, took a step which was of the greatest importance for the future. It had the effect of transforming a group of vocal virtuosi on equal footing into a compact vocal body, whose interpretation of the greatest works of polyphony which we possess, and which were then coming into existence, became the model for the rest of the world, not only then but for all time. Leo's step was somewhat counteracted by Paul III (1534–49) on 17 November 1545, published a Bull approving a new constitution of the choir, which has been in force ever since, and according to which the choir-master proposes the candidates for membership, who are then examined by the whole company of singers. Since that time the state of life of the candidate has not been a factor. Baroque and gradual decline (1545–1898) - While the Sistine Choir has, since its foundation, undergone many vicissitudes, its artistic and moral level fluctuating, like all things human, with the mutations of the times, it has ever had for its purpose and object to hold up, at the seat of ecclesiastical authority, the highest model of liturgical music as well as of its performance. 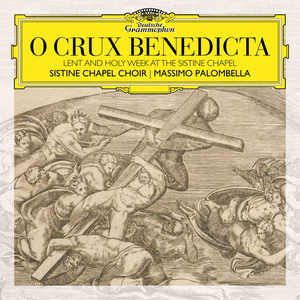 When the Gregorian melodies were still the sole music of the Church, it was the papal choir that set the standard for the rest of Christendom, both in regard to the purity of the melodies and their rendition. After these melodies had blossomed into polyphony, it was in the Sistine Chapel that it received adequate interpretation. Here the artistic degeneration, which church music suffered in different periods in many countries, never took hold for any length of time. The use of instruments, even of the organ, has ever been excluded. The choir's ideal has always been that purely vocal style. The second Golden Age and decline (1898–1956) Don Perosi with his scuola di canto (singschool, c. 1905). The accession of the Pope Pius X, arguably the most musical pope since St. Gregory the Great, caused a complete turn-around in the quality of music in the Vatican. Under the directorship of Pius's long-time friend, the legendary composer/conductor Don Lorenzo Perosi, the artistic level of the Sistine Choir was raised to a higher point than it had occupied for the previous thirty or forty years. Only two months after his coronation in 1903, Pius released his Motu Proprio (co-written, no doubt, by Pius's great friend Perosi, who had been Maestro di Cappella since 1898 and was now promoted to "Maestro Perpetuo"). Castrato voices were succeeded by boys' voices. One of the reasons for this was that Pius was fervently against the practice of human castration. Thus, he declared that only "whole men" should be allowed to be choristers or priests. Thus ended the castrati's place in Roman Catholic choir lofts and pulpits. The choir's repertoire consisted heavily of the compositions of Don Perosi himself. Though Maestro Perosi's title was "Perpetual," meaning that he held it until his death in 1956, he suffered from chronic mental problems resulting in various interregna of his directorship. These problems manifested themselves around the First World War and continued, on and off, till Perosi's death. Naturally the same high musical standards could not be maintained during Don Perosi's absences, regardless of his "title". Recent history (1956–1997) - Perosi was succeeded by Domenico Bartolucci. Though Bartolucci retained much of Perosi's music in the choir's repertoire - music which he genuinely respected - Bartolucci was a different musician to Perosi. In particular, his tempos were slow: for this reason he is retained to be one of the most intelligent executor of Palestrina ever. However his most famous composition, the "Missa de Angelis" is a bright and glorious piece for four voices (SATB), and organ. Within a decade of Bartolucci's assumption of the directorship, the Second Vatican Council (1962–5) brought drastic changes to every aspect of the liturgy. Music was certainly no exception. The glory days of Pius X and Don Perosi were now something of the distant past. The Choir today - Bartolucci was replaced as director of the choir by Monsignor Giuseppe Liberto in 1997. During his directorship, Liberto spoke candidly about the problems of music in the Catholic Church since Vatican II. "Any kind of guerilla action against Vatican II does not produce good fruits. The council's principles by now are untouchable." In 2010, Massimo Palombella, a Salesian priest, was appointed to replace Liberto as head of the choir. LISTEN TO THE Vatican Radio SEGMENT TRANSCRIPT - Pope Francis on Wednesday afternoon presides at Vespers in the Basilica of St Paul Outside the Walls for the closing of the annual Week of Prayer for Christian Unity. 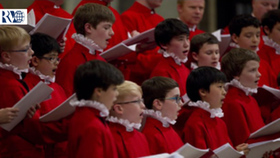 On that occasion, the Sistine Chapel choir will be joined by the men and boys of the Westminster Abbey choir, renowned as one of the finest choral music groups of its kind. Ahead of this unprecedented event, pioneered by the two choirs are also performing a free concert on Tuesday evening in the Basilica of St John Lateran. Their collaboration grows out of recent years of deepening Anglican-Catholic relations, in particular following Pope Benedict XVI's visit to London in September 2010. To find out more about this musical collaboration and about the history of the Westminster Abbey choir, Philippa Hitchen spoke to the Dean of the Abbey, the very Reverend Dr John Hall, and to the only full time English singer with the Sistine Chapel choir, Mark Spyropoulos.